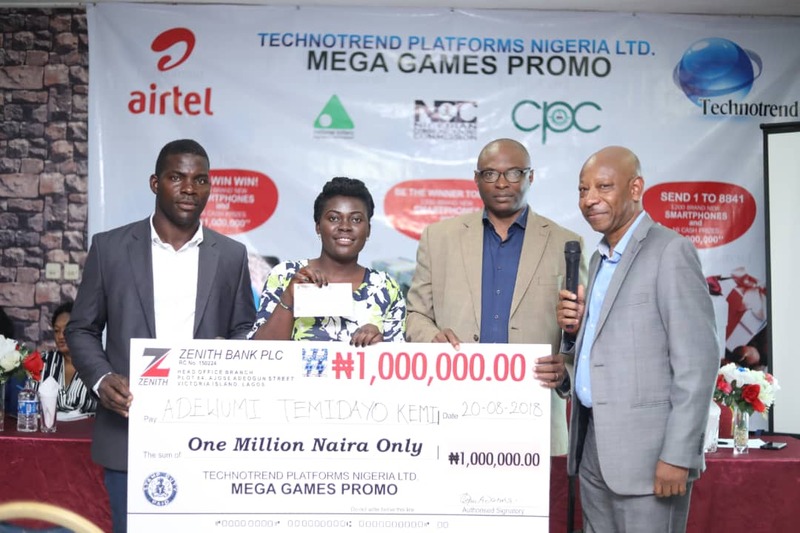 This is the good news coming from the stable of TechnoTrend Platforms Nigeria Limited (TPNL), a technology company registered with the aim of offering Wholesales Wireless (Mobile) Access Services to telecom subscribers through the mobile networks. 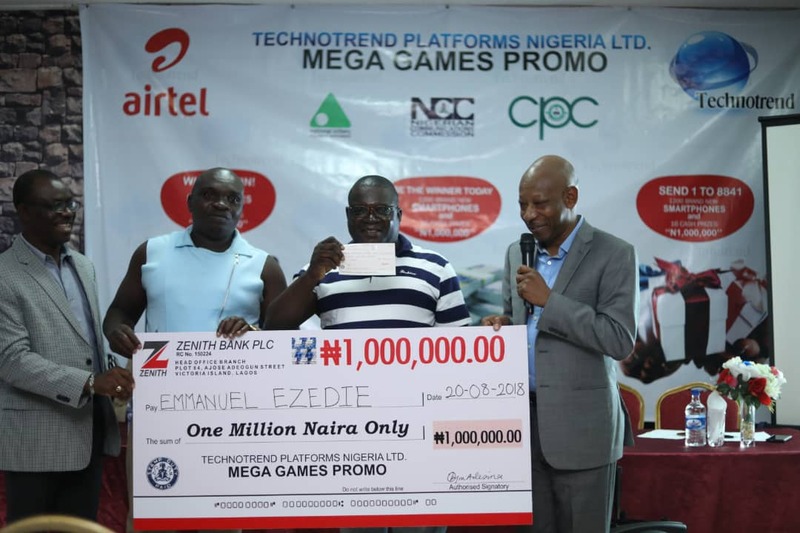 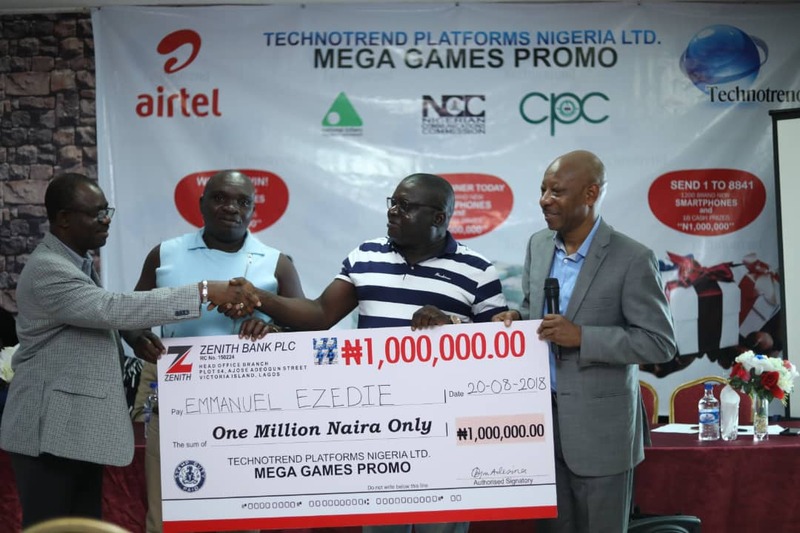 The outfit recently presented cash prizes of N1 million and smart phones each to lucky subscribers, who participated and won in its on-going Mega Games Promo, which is principally designed to better the lives of Nigerians. The offer is available to AirtelNG subscribers only. 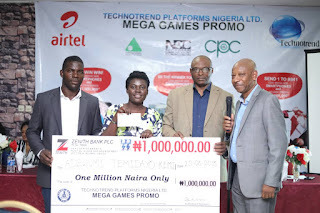 The cash prize presentation was held in Lagos, at the Lagos Resource Center, Victoria Island and winners were full of joy as they praised God and TechnoTrend Platforms Nigeria Limited (TPNL), for the opportunity. 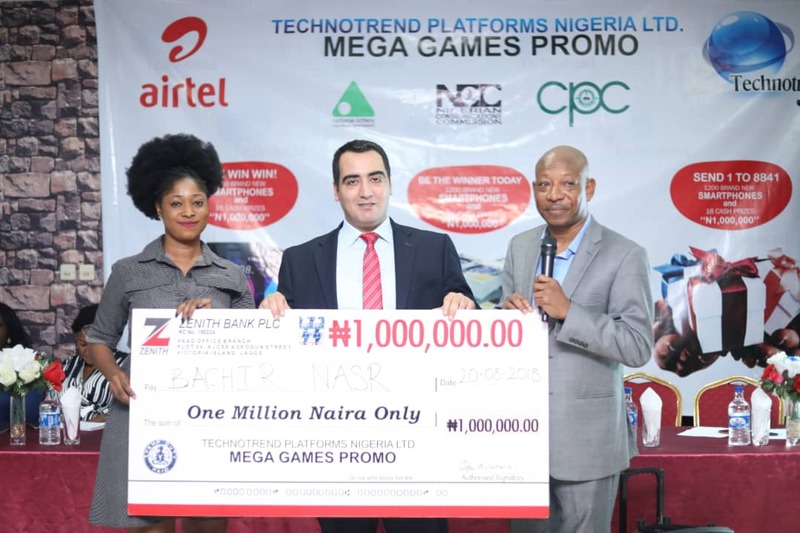 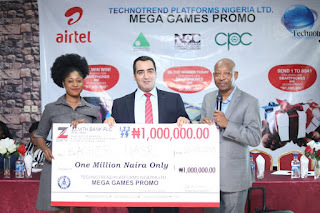 Another beneficiary, a Lebanese expatriate who lives in Lagos, Mr. Bachir Nasr said, as a foreigner, he loves playing games on his phone, and along the line he came in touch with the Mega Games Promo. 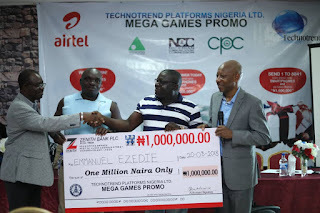 Pronto he became excited and started playing, and before he knew it, he won and is now very much involved in the game, and will call on all AirtelNG subscribers to fall in line and keep winning.